Originally from Athens, Greece, Stella Kapezanou has had an epic year on MA Fine Art, from securing a Frank Bowling Scholarship to winning the 2017 Clyde & Co. Award, having her work selected by UAL’s Chancellor Grayson Perry and much more. Besides “what” I’m painting, over the last year, I questioned myself on “how” as well. I attempted to capture commercial culture in a blunt and straightforward way, like an ‘off’ fashion image, aiming to point out the affordability, temporariness, decay and mortality of humans and to transform my paintings into my playground of more fakeness. I secured one of the Frank Bowling Scholarships to study MA Fine Art at Chelsea. 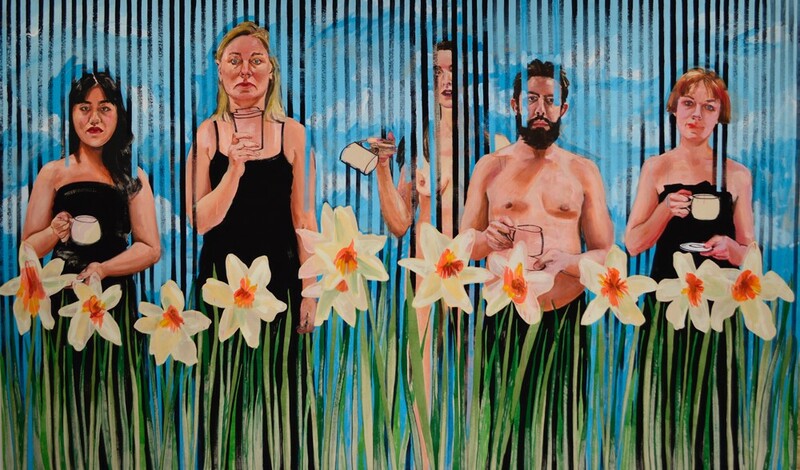 During the year on the course I was awarded the 2017 Clyde & Co Emerging Star Award, as well as being shortlisted for the 2017 The Solo Award and The Ruth Borchard Self-Portrait Prize. In addition, I got selected by Grayson Perry, Chancellor of UAL, to participate in the 2017 Xhibit at the Art Bermondsey Project Space, among emerging talent from across UAL. 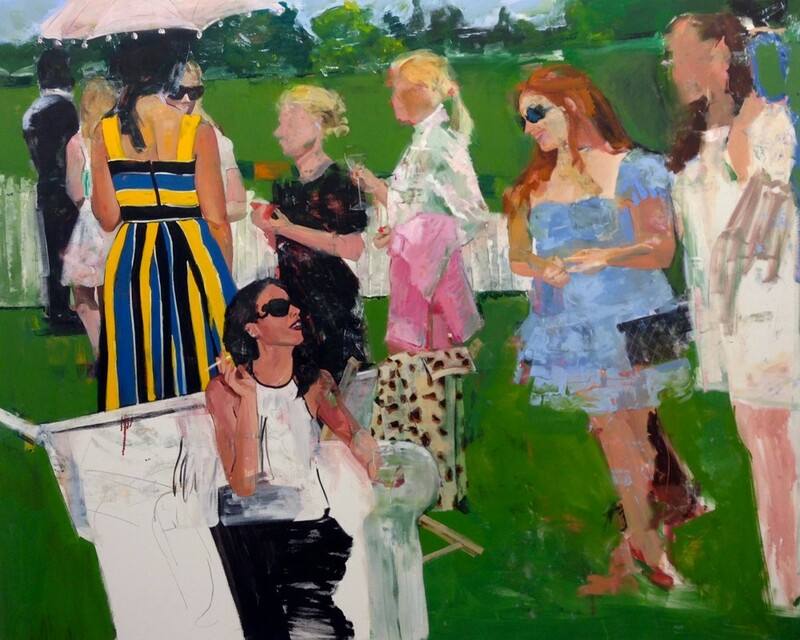 My degree show work, is a painting triptych that is influenced by “A Bar at the Folies-Bergère”, by Édouard Manet. Mine is called “A Bar At The Faena”. My bar belongs to the famous Faena hotel of Miami’s South Beach, that became an art spot by purchasing a golden emblematic sculpture by Damien Hirst, and hosted some of the most glamorous Art Basel parties. It is a comment on today’s artworks, as well as a homage to my most favourite Great Master Manet. We’re living in a society that is predominated by an enormous amount of visuals, but they’re not really looked at. 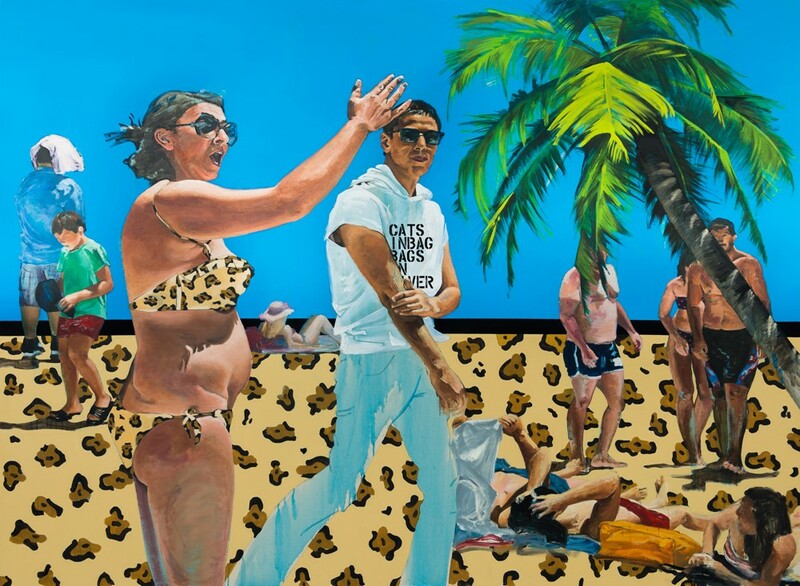 Being a figurative painter can be tricky, especially in an age of Instagram selfies. 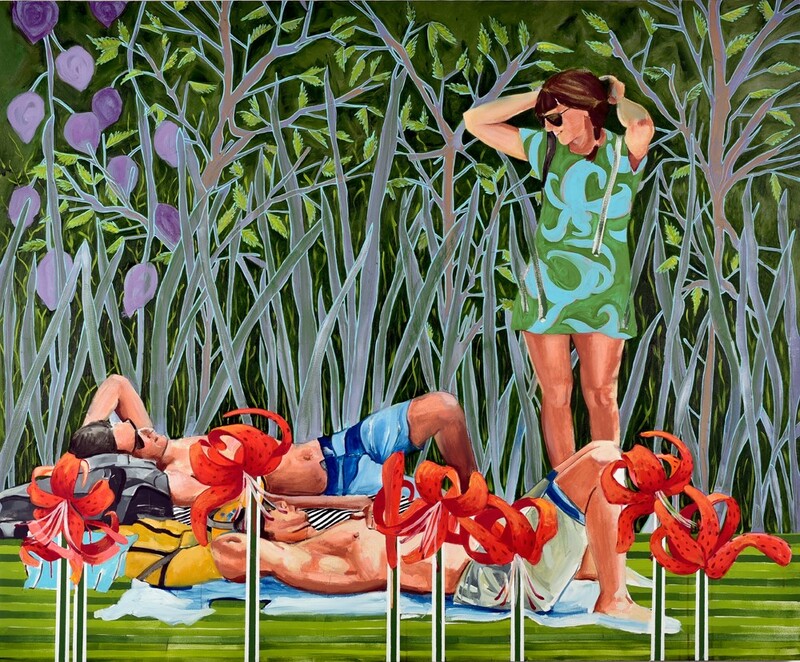 On the other hand, figurative painting can be populist…you know, your mom can like it. When you get the body involved, people react. And this is my greatest challenge. To create paintings that become a non-verbal statement on the relation between the image and reality. Well you know, I paint and I dream big and I want it all, so a list of career ambitions would be endless. I’ll start by aiming to have two studios simultaneously, one in London and one in Athens and be based in two cities. Then, I will hopefully expand to more… I’m not a “home-centred” person myself and I like to be constantly on the move. Being an artist is giving me this freedom. The move to my new studio on the 2nd floor for the summer term, with an abundance of natural light and wall space, overlooking Tate Britain. Light centre Belgravia, a Yoga Shala, only 15 minute walking distance away. I particularly enjoyed the evening rocket yoga classes. As our course leader Patti Ellis says be “rock & ready”!